The 2017 Australian Oaks day race is set to take place this Saturday the 8th of April. The latest news for the Group 1 million Dollar race is that Montoya’s Secret has pulled out of the race altogether. Co-trainer Troy Corstens has revealed that the filly suffered an ailment after working at the team’s base in Flemington. Montoya’s Secret was certainly one of the favourites for the Australian Oaks day race, racking up some impressive past performances in her short career. After winning the Group 1 Vinery Stud Stakes less than two weeks ago, Montoya’s Secret reached a new level in her career and would have been solid performer at the Group 1 event on Saturday. 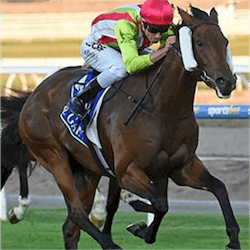 According to Corstens, the filly’s 2017 campaign in not a lost cause. As it is just a minor ailment, the filly will be all set for the Group 1 2000m Australasian Oaks in a month’s time. Speaking to the press, Corstens said that the filly gave her leg a whack and subsequently had to miss out on some major gallops. Montoya’s Secret made her debut last in May of 2016. She placed fifth in the Phar Lap Club Plate at Flemington racecourse before going on to place second at the Pat Hyland Plate. She finished up with another second place in the 1300m Ladbrokes.com.au Handicap before returning to the paddock. She resumed racing in spring to place fourth in the 1300m Geelong minor. She was sent back to the paddock after finishing in fifth at the Red Rock Deli Plate.